The ability to understand the thoughts of others is powerful. Billions of dollars is spent every year in one form of another to be told what to do. Since the dawn of time people have sought the guidance of those who see beneath the surface. Every empire, every kingdom, every village had a seer. One who was consulted when problems arose. The King of Sparta famously consulted the Oracle before the battle of Thermopylae. Even Nancy Reagan consulted with a psychic. We all want to know what to do when problems arise. We all need to be comforted when we are worried. People visit professional psychics for the same reasons we visit the doctor. We have a weird feeling. Maybe a cough or a lump. Our mind races with worry. We see the doctor and she tells us we’re fine. We’re not going to die. It will pass. People visit psychics for the same reason. To be told they will be fine. That everything is going to work out. We all crave relationships, and when we don’t have them, we worry. We all want more money, so when the bills start piling up, we worry. We seek comfort in times of worry. We seek solace in time of emotional pain. Within every chest beats the same heart. Within every mind lives the same desires, worries, and anxieties. This gives you, Dear Reader, a keen insight into the minds of others. Cold reading skills are not paranormal. Cold reading is not telepathy. 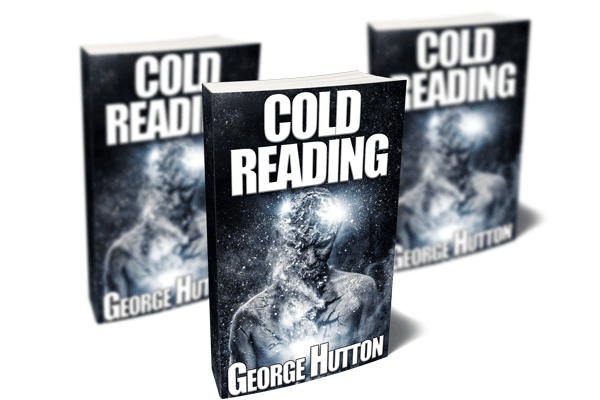 Cold reading is not the ability to foretell the future, or discern winning lottery numbers. Cold reading is exactly what it sounds like. This means you need very little information. You’ll see a person and only need to quickly judge the situation, read their body language and facial expressions. You’ll learn to do this in seconds. You’ll gain some powerful insights that will allow you to know exactly what they are thinking. Exactly what they want. Exactly what they desire. Exactly what they are most worried about. Even better, you will know exactly what kind of future they most dream about. The things that they fantasize about. Their deepest hopes and aspirations. Things they don’t share with anybody else. But you will know. You will learn to craft the ideal message for any person. You will be able to pace their current desires and anxieties. You will be able to draw a line from their present to their most cherished future. Their biggest dreams they haven’t shared with anybody. You will learn to do so with such precision, such accuracy, they will think you can peer directly into their soul. They will feel a deep resonance with you they haven’t felt with anyone else. Ever. Whether you want to learn this powerful skill for party tricks, for deep and permanent seduction, or to sell anything to anybody, you’ll find this is the most powerful communication system you may ever learn. Within minutes and only a few sentences of cold reading magic, they will never forget you. You’ll be able to walk up to strangers and utter a few careful words that will resonate with them for the rest of their lives. You’ll learn some powerful techniques that will allow you, with just a few simple questions, to find out exactly where they are, and precisely where they want to go. You’ll be able to take their dreams and desires and phrase them with powerful hypnotic language so they’ll remember it as being absolutely precise. A powerful combination of deep mental processing with common human biases, and people will learn to greatly respect your very presence. This is not magic. This is pure science. By combining a deep understanding of human nature, human biases, hypnotic language patterns and the deep cause-effect generator which lives deeply in everybody’s mind, you will learn to deliver powerful statements that resonate with their soul. You’ll learn the one thing that everybody craves more than anything else. Paradoxically, this is something that when presented consciously, nobody would ever admit to wanting this. But when presented subconsciously, obliquely, subtly, it is something every single human will respond to. When you carefully imply this prime directive deeply into your cold reading message, they will become hopelessly addicted to you, your voice, and your ideas. They will crave your advice, your guidance, and your support. You will learn the very secrets of the Oracle of Delphi, whom King Leonidas consulted before the most famous battle of western civilization. The same technique used by sages and charlatans alike. This one idea, combined with your understanding of human nature, will make you a wizard. This guide was written with the express desire to teach you how to talk to people and make them feel fantastic within minutes. Anything this powerful can be abused. This tools are best used to make others feel blessed by your presence. To feel more positive about the future. To be more excited to be alive. To recall their encounter with you as being the turning point in their lives. When practicing these techniques, we recommend you use these on strangers first. This is because you’ll need to change your conversation style slightly. But once you get the techniques down, you can use them on anybody. Your relationships will be much more profound. You’ll communicate with others on a much deeper level. You will know the secretive minds of all around you. And they’ll know that you know. And they’ll love you for it. Friends, lovers, colleagues, buddies, all will respond positively to these ideas. Once you understand how other people really think, and learn to resonate with their thoughts, life will become magic. This isn’t a gimmick or a set of patterns. This requires study, understanding, and practice. A comprehensive overview of human nature, human thinking processes, and deep thought pattern similarities. Once you learn to see these in everybody, you will know. Learn these skills and you’ll create the deepest connection they’ve ever felt. Within minutes they’ll trust you with their deepest secrets and desires. 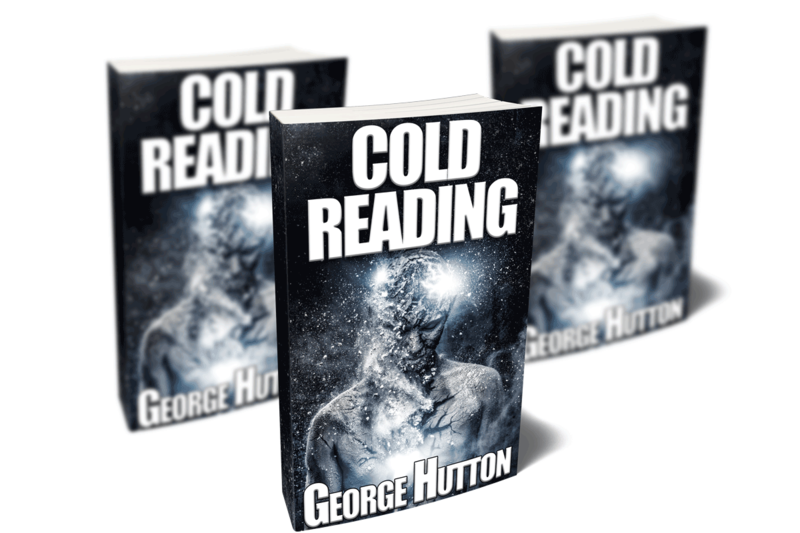 Get this guide now and learn the powerful and ancient secrets of cold reading. The ideas and exercises in this guide will teach you become a word magician. You’ll develop the ability to read somebody in seconds and deliver a few simple words that will resonate for a lifetime. Get this guide now and get world class skills. These skills will allow you to take anybody and carefully and deliberately move their emotions to anywhere you want them to be. Bring them out of despair and into hope. Turn their depression into happiness. They’ll recognize your profound skills and never forget you. Get this guide now and become a changer of lives.